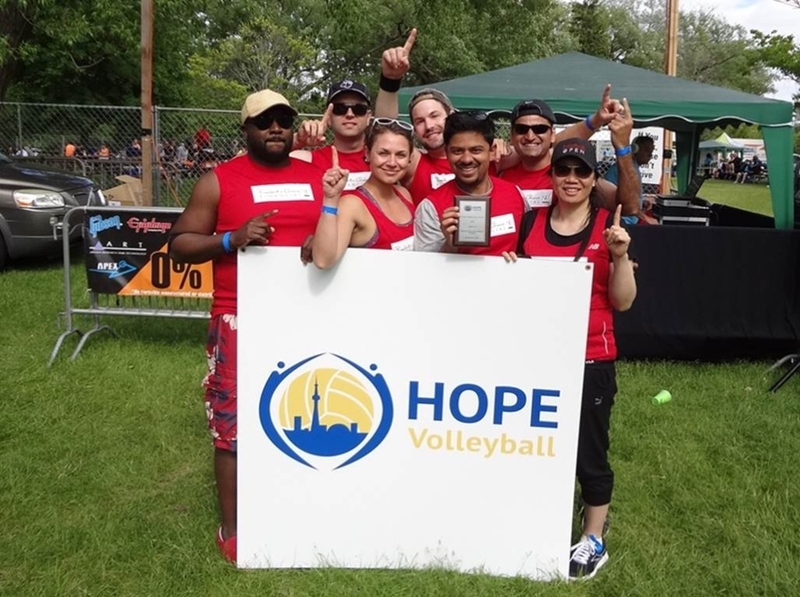 A recap of the 26th Annual HOPE Charity Volleyball Tournament held on Toronto Island – June 14, 2014. 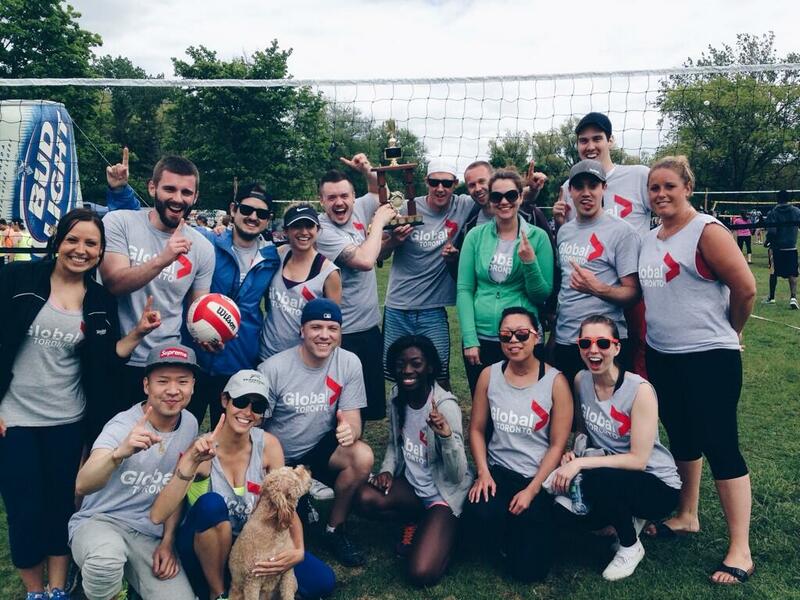 This year, the theme of our volleyball fundraiser was “Spike Out Dementia” and “Bump It Up for Kids” to bring awareness to the two great charities that we are supporting for the 2014 and 2015 seasons: Alzheimer Society of Toronto and Kids, Cops & Computers. We were thrilled that the participants met the pledge goal of $10,000! Amazing! These funds will change lives through the programs run by the two charities, respectively. Thank you to all the donors and fundraisers. Our top fundraiser, Sheri, who raised over $2000 won a Samsung Galaxy Tablet and tickets to a Raptors game. Stay tuned for the Total Proceeds announcement and the Cheque Presentation party to the two charities! 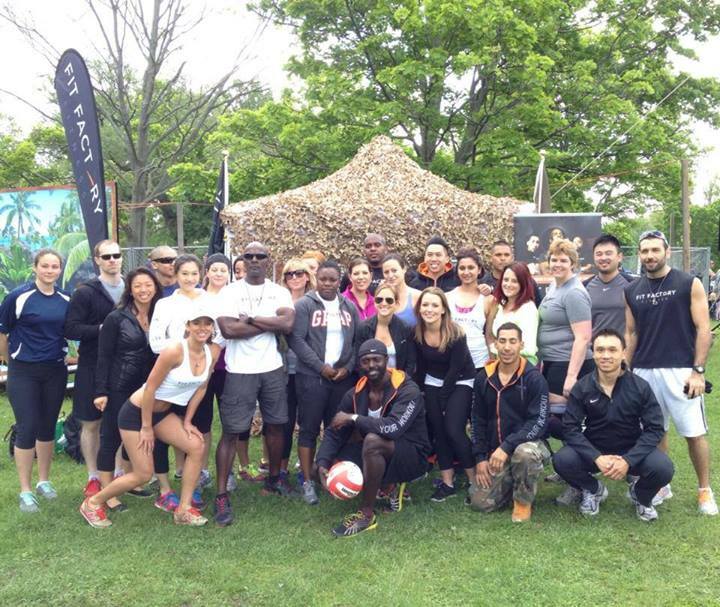 For the first time this year, the event kicked off with a high intensity warm-up run by Tony at Fit Factory Fitness, who also brought his boot camp class to the Island. We look forward to making this an annual tradition. With sunny skies throughout most of the day, over 200 teams in divisions from beginners to competitive level bumped, set and spiked their way to winning games or just having a blast with friends and family. The 2014 Division Champions are: “What’s the Beersworth” (Beginners); “Bamfu” (Recreational); “Misfits” (Intermediate); and “Bazinga” (Competitive). The friendly competition was intensified by the popular Media Challenge, Corporate Challenge and the inaugural MBA School Challenge this year. In the Media Challenge, Global Toronto’s Chief Meteorologist, Anthony Farnell, led his Global Toronto team to the win over the team from the Toronto Sun. 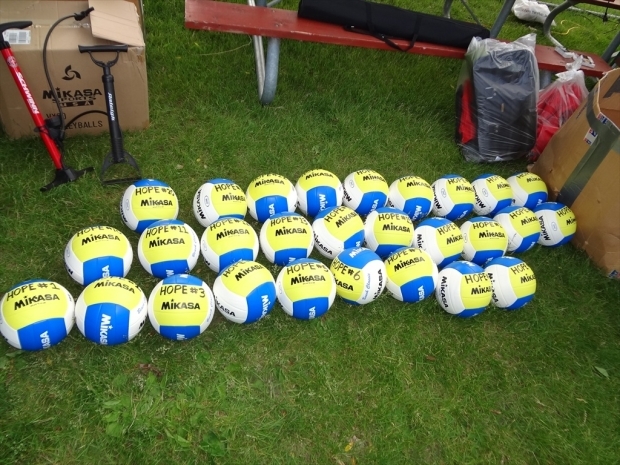 The team from PC Financial may have been first timers to HOPE Volleyball but they were veterans on the court in winning the Corporate Challenge. We know MBA Schools are always competitive and looking for a top ranking. 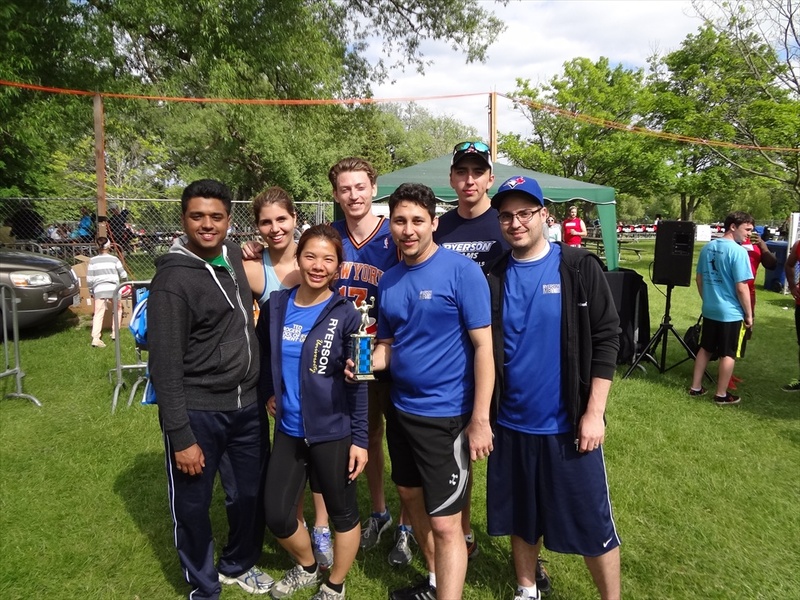 On the volleyball court, Ryerson’s “Spiketacular” MBA team beat out teams from York U’s Schulich and U of T’s Rotman MBA Schools to take home the trophy and bragging rights as the top volleyball team. Congratulations to all the winners. Please keep in mind that the real winners are, thanks to your support, Alzheimer Society of Toronto and Kids, Cops & Computers. Please visit our 2014 photo gallery for more pics. Thank you and see you again next year!